Myanmar (also known as Burma) - the country has just opened its doors after long periods of embargoes, containing innumerable beauties not only in sight but also in culture. That's why this land was my choice during the youth journey. 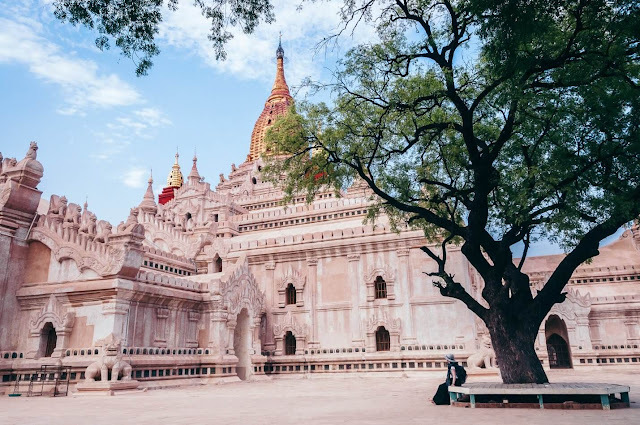 The first destination in our journey was former capital of Old Bagan, 42km², on the banks of the Ayeyarwaddy River in the central part of Myanamar. 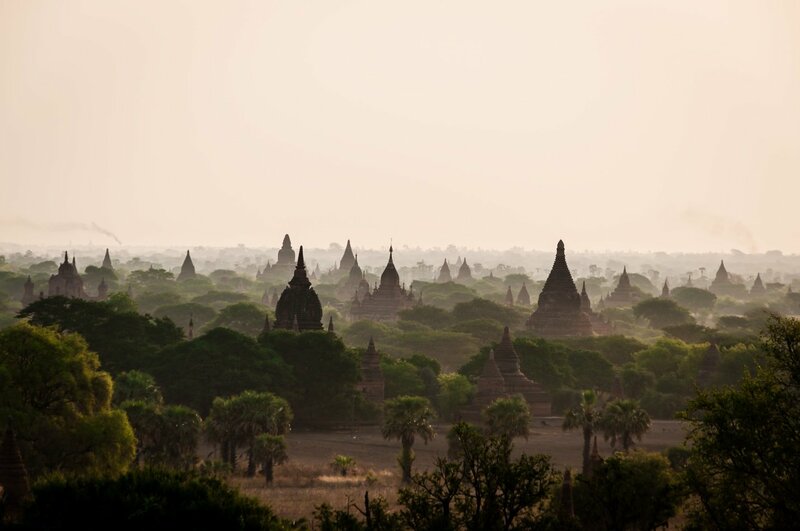 Old Bagan is home to the most unique temple structures in Southeast Asia, with more than 3,000 ancient temples – an evidence of Myanmar's glorious history. 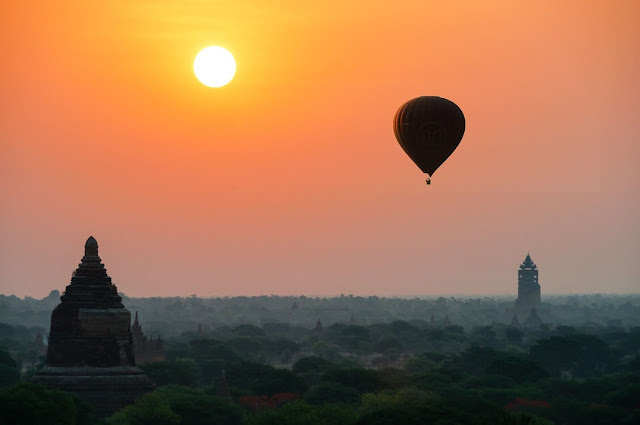 Bagan consists of three towns: Nyuang U, Old Bagan and New Bagan, and an area spreading out with many temples. With the number of temples, monasteries and many cultural values, Buddhist beliefs, Old Bagan always knows how to conquer tourists. And in particular, anyone who comes to Old Bagan can not ignore sunrise and sunset at Shwesandaw - the so-called Sunset Temple. To get here, you can either travel by horse cart or rent a motorbike. Far from the tranquillity of Old Bagan, our next destination is Mandalay, a land filled with the noise of vehicles and busy boats. However, inside the modern and dusty appearance, Mandalay still boldly marks the final prints of Burmese history. 716km north of the city of Yagoon is the center of the culture of Kohbaun Kingdom. 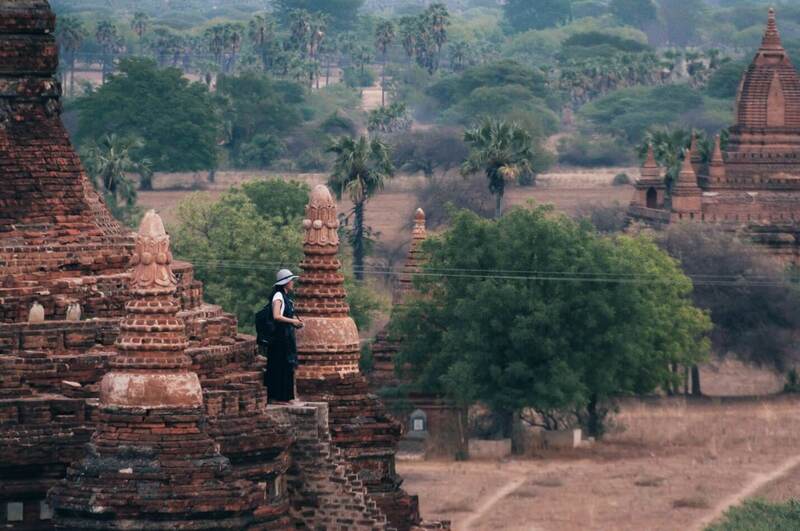 Therefore, this place has become the best tourist attraction in Myanmar. Due to limited time, we only had a half day to explore the land, and hence we decided to go to the teak bridge of Ubein - one of the most beautiful sunset spots in the world. 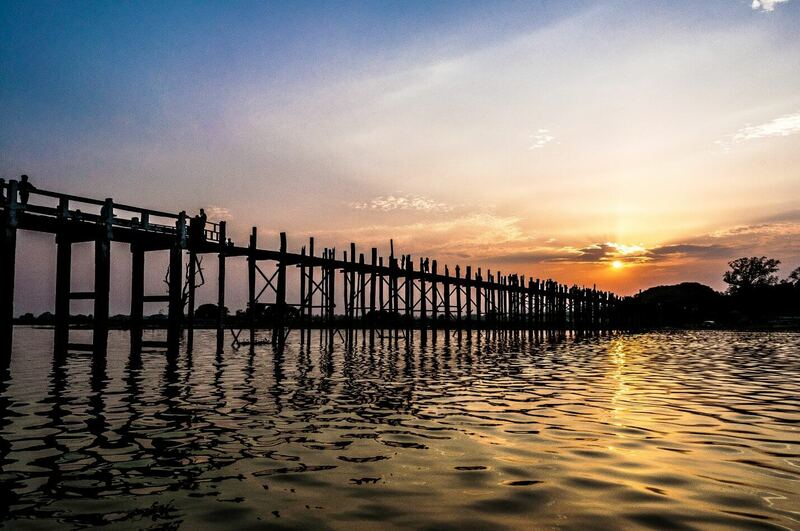 Ubein Bridge is located in the outskirts of Mandalay, the delta of the Taungthamna River. Due to the wide riverbed, to connect the two banks of the river, the Burmese people built a 1.2 km long bridge. This is the longest and oldest wooden bridge in the world, the other side of the bridge is the ancient village Inwa - more than 400 years old. 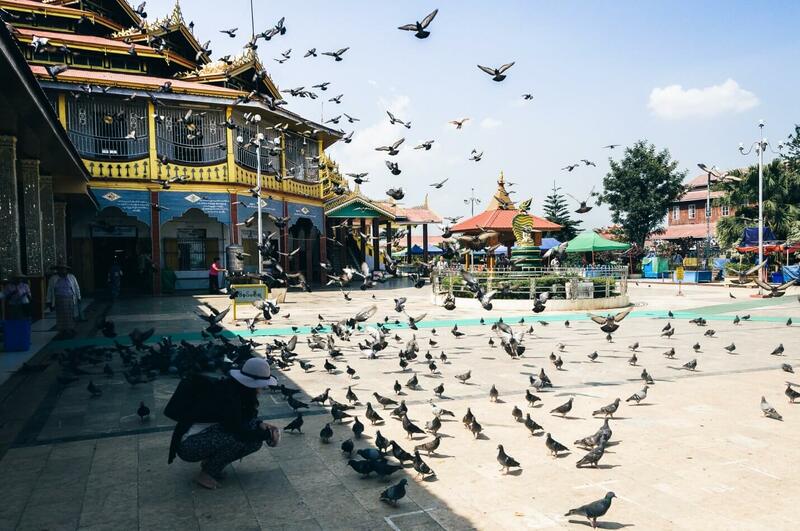 Leaving the city of Mandalay, we went to Inle Lake, away from the hustle and bustle of sunny days, Inle Lake is where you will feel very peaceful and enjoy cool weather in the early morning. With an area of nearly 250 km², Inle Lake is the second largest freshwater lake in Myanmar but is the most beautiful lake. The lake connects to Nyangshwe by a large canal. This is the main transportation artery for Inle Lake as well as for irrigation water from the lake to the fields in the area. Surrounded by lakes are mountains and small villages, where there are houses on stilts, monasteries, beautiful temples. Sitting on the boat watching Inle Lake in the early morning, it was feeling like floating in the clouds of paradise. It’s not like anywhere else! Inle Lake is not incredibly beautiful, does not make you scream when you see it but live with it, gradually you will be fascinated with it and do not want to leave. Inle is not immense in the eyes but dotted with the green grass and houses on stilt reflecting themselves on the lake. These include the smithy, the handicraft workshops producing paper umbrella, silverwares or weaving fabric from lotus leaflets and some restaurants floating on the lake. 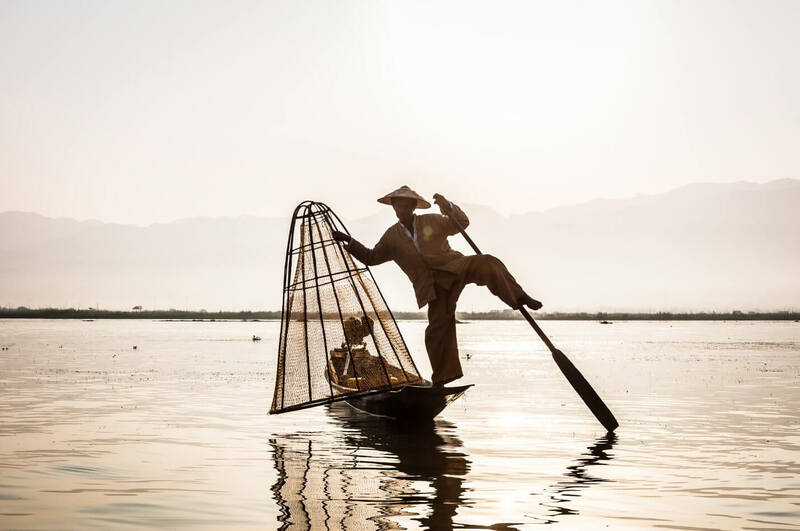 An immensely serene lake, unique one-legged paddles and unique Burmese hats make for a perfect travel product that can only be seen in the Inle Lake of Burma.